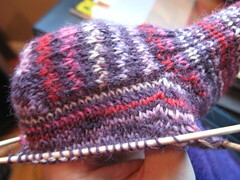 The sole and instep are coming along nicely. 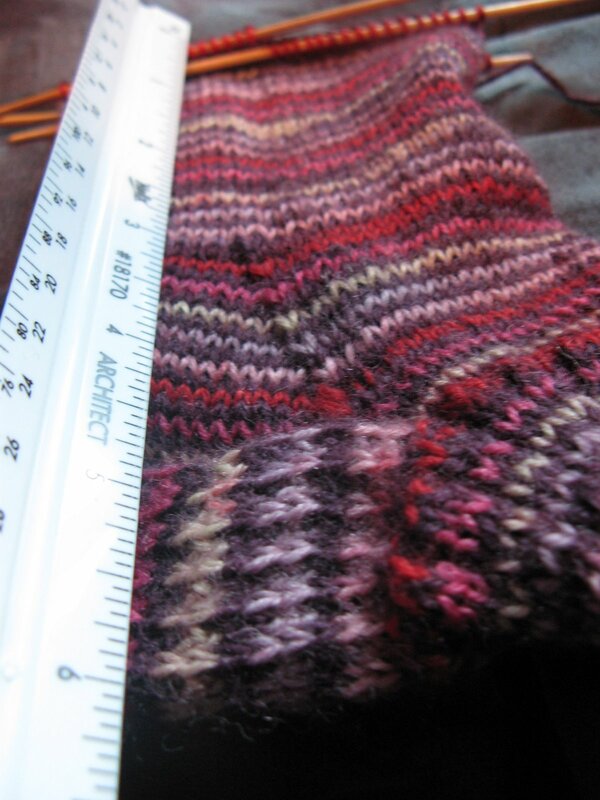 Only about an inch to go before I start working on the toe – Yay! This part is getting a little tedious because it’s just knit, knit, knit, knit… Then I will have to start all over again to match the pair. On the next one I may make the ribbing a little bigger in the tube… we’ll see how this one comes out. I have this old book called The Complete Book of Progressive Knitting by Ida Riley Duncan, copyright, 1940. My mom got it for me from a yard sale a long time ago… well, it turns out that it’s a collectible! I looked it up on amazon and it’s selling for $30-$40. I’m sure she paid about 25 cents or so. Not a bad investment. It’s a pretty cool book with lots of illustrations and basics of garment construction and measurements as well as a history of yarn and knitting. I’ll sprinkle in some fun knitting facts from her book. 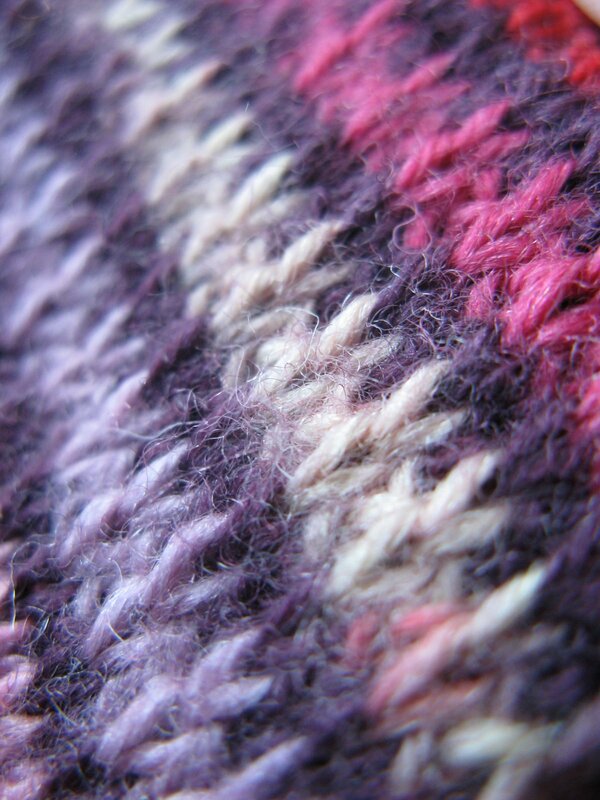 Fun Fact #1: There is NO country in the world that does not have knitting as part of their textural work! The earlest knitting example she sites is a Peruvian band of humming birds belonging to the Prato-Nasca Culture dating before 200 A.D. I am thoroughly entertained with this yarn. 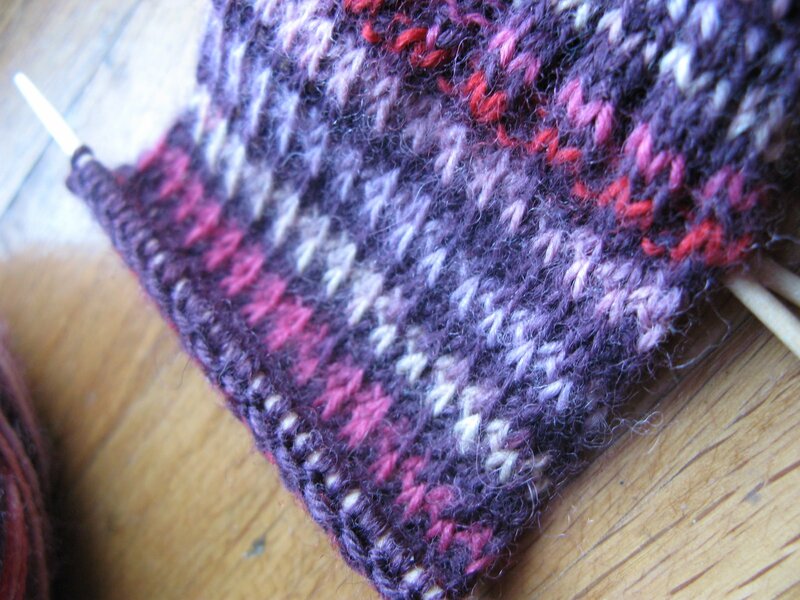 The stripes are very fun to work with and change their thickness with each different knit pattern. 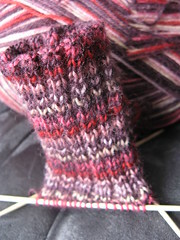 I’ve successfully turned the heel and began working on the gusset. Here’s a question that maybe Quilt Otaku or some of her knitting buddies can help me figure out… why is it so important to which way you slip a stitch? I’m following Silver’s Sock Class and she spells it out in capitol letters to slip AS IF TO PURL. Why does it matter? Doesn’t it slip the same either way you do it? 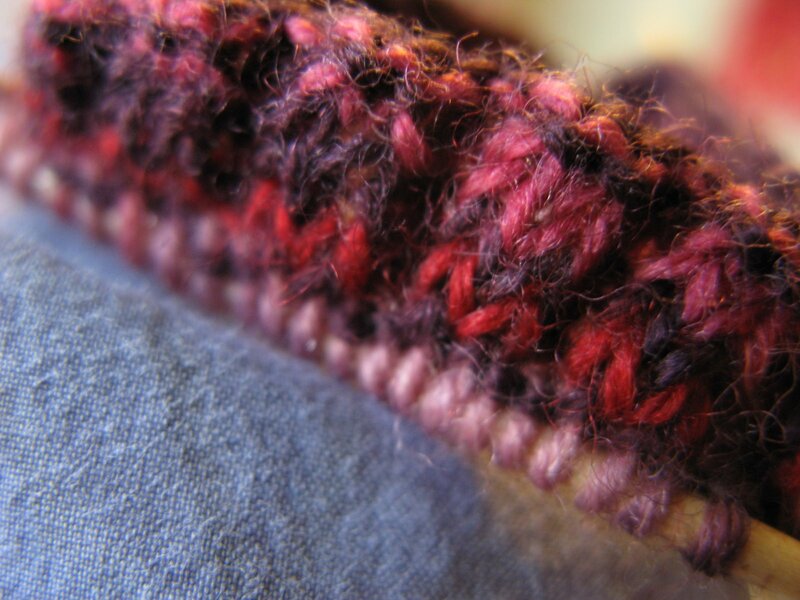 I find it easier to slip as if to purl, but does it really make a difference on the stitch? I don’t see that it does, which leads me to wonder if I’m doing it wrong.